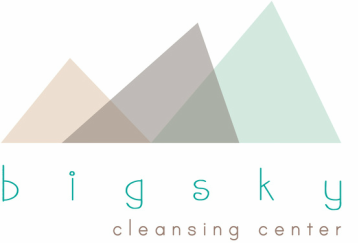 Welcome To Big Sky Cleansing Center! Cleansing or detoxification is the process of removing toxic substances from the body. Today, with more toxins in our environment than ever before, it's critical to detox. There is an abundance of toxins in our food, water, air, consumer products, and even fabrics. Detoxing is about improving and optimizing the function of your body's own detoxification systems. Detoxification work is done by the liver, intestinal tract, kidneys, lungs, and lymphatic system. If these organs are over-toxic, they stop working properly and dispense toxins into other parts of the body. The purpose of detoxification is to support these organs in the elimination process so that toxins present in the body can be metabolized and excreted. As a culture we are very aware of our external cleanliness. We brush our teeth, bathe, and wash our hair to look and smell clean because it makes us feel better. Similarly, detoxification is internal cleansing. The detoxification system is a key component to our bodies functioning well.